Ahoy me hearties it's one of my favourite themes! Here's a roundup of great sites to try if you love pirates too. Four Pirate Masks and lots more. Play Poop Deck Pirates a game that links to Letters and Sounds Phases 3 and 4. A Pirate throws a gold coin. You decide if it is a real word or not. GREAT sound effects - we love this game! Join in the adventures of Wild Wicked Winifred and her crew hunting for buried treasure and playing tricks on the villains who want her secret recipe for Pirate Plum Duff. And for even more pirate loot, click here and here ! 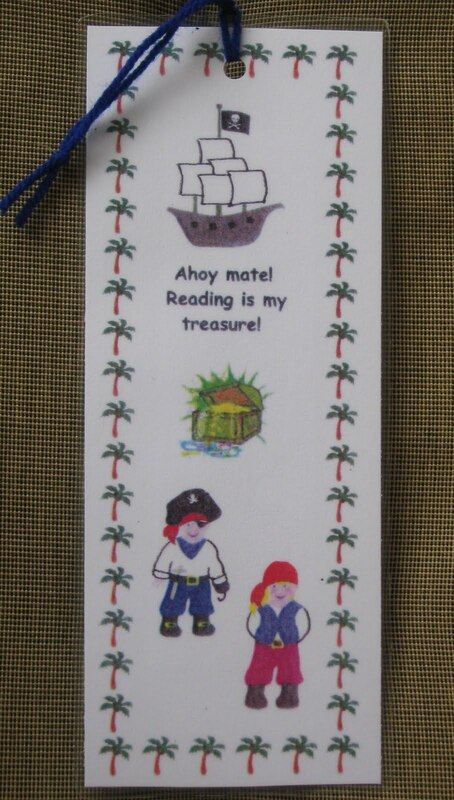 Mrs Pancake offers Pirate "Doodads" including fancy dress fun, "bits and pieces," Jolly Roger flags and Sea Captains, lighthouses and much more. You'll find lots of Pirate resources at Ziggity Zoom including puzzles. a story and craft ideas. Twinkl offers writing paper, role play masks, a word mat, posters, banners and more! 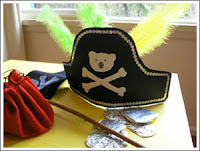 Check out Make Learning Fun for even more Pirate resources! From FamilyfFun Parrot for a Pirate Video, instructions and the Parrot Template - my absolute favourite because the parrot has a tab and can be taped to the shoulder! I’m looking for treasure, yesiree! Want to come along with me? “X” marks the spot so we’ve been told. If we find some we’ll dance a jig! “Yo Ho Ho! !” (pump fist in air-sleepily! A SAILOR WENT TO SEA as a clapping game! Repeat this sequence in rhythm until end of song.